Nashville, TN – The Nashville Predators finally righted the ship with a 3-1 win over the Montreal Canadiens tonight at Bridgestone Arena. 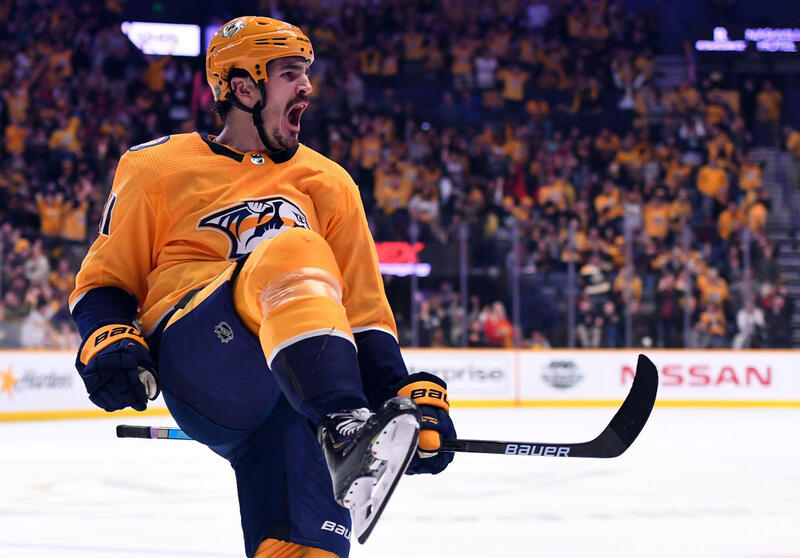 Newly acquired big man Brian Boyle scored his first goal as a Predator and Viktor Arvidsson added to his torrid scoring streak for the victory. Arvidsson scored his 24th goal of the season tonight, a remarkable feat considering he was injured and didn’t return to the lineup until New Years Eve. Nashville wrapped up a three game home stand and snapped a three game losing streak tonight with the win. 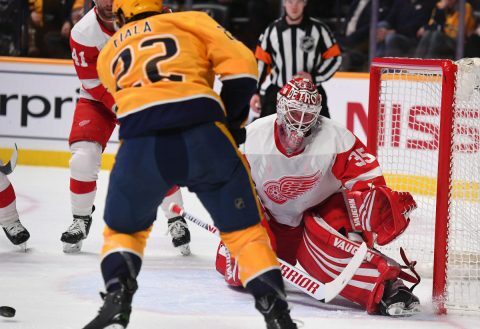 Nashville, TN – The Nashville Predators can’t seem to find a way to win games lately, falling tonight to the visiting Detroit Red Wings, 3-2. This is the third consecutive loss for the home boys, and Detroit comes away with a sweep of the two game series. It wasn’t from lack of effort, which coach Peter Laviolette is pleased with, they just can’t seem to catch a break or get the puck to bounce in their favor. 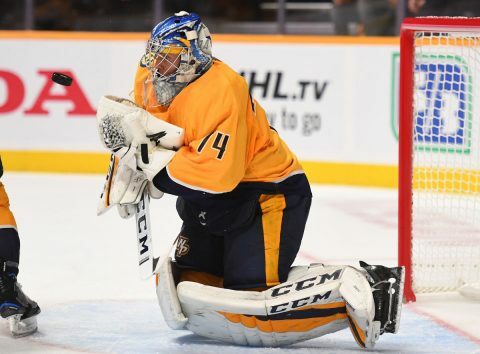 Nashville, TN – The Nashville Predators broke their home ice losing streak to defeat the Las Vegas Golden Knights, 4-1, at Bridgestone Arena. Ryan Hartman led the Preds with his two goal effort, that gave Nashville all they would need on the night. 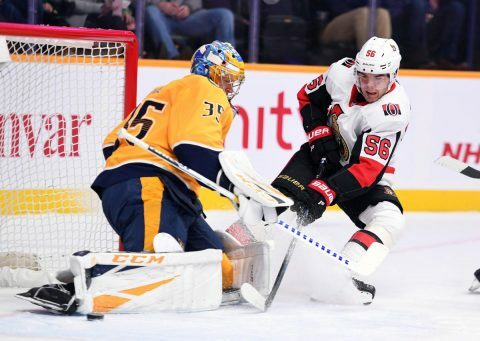 The Predators had struggled this season at home, where their only three losses had occurred in Nashville. The Predators outshot the Golden Knights, 28-24 on the night. Reilly Smith scored the first goal of the Knight for Vegas at 17:14 of the first period when his snapshot beat Predators goalie, Juuse Saros on the high side and Vegas led 1-0. 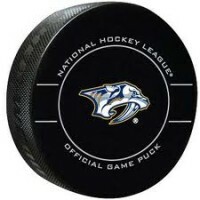 Clarksville, Tn — The Nashville Predators defeated their closest rivals in the Central Division of the Western Conference, the Winnipeg Jets, 3-1 at the sold-out Bridgestone Arena in Nashville tonight. The Predators chased starting Winnipeg goalie, Michael Hutchinson just ten minutes into the contest, after scoring three quick goals, two of the shorthanded. It was reported that Hutchinson was put in concussion protocol for the remainder of the game. 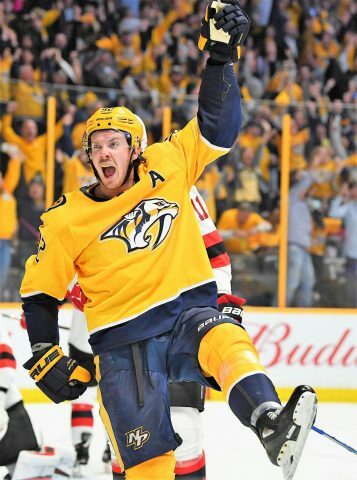 Nashville, TN – The Nashville Predators saw their franchise record win streak come to an end tonight at the Bridgestone Arena, as the New Jersey Devils won it in a shoot-out, 3-2. New Jersey dominated the play throughout the game, after the Predators were first to score, and then took a 2-1 lead, until just over one minute in regulation, when Ryan Johansen tied the game at 2-2. 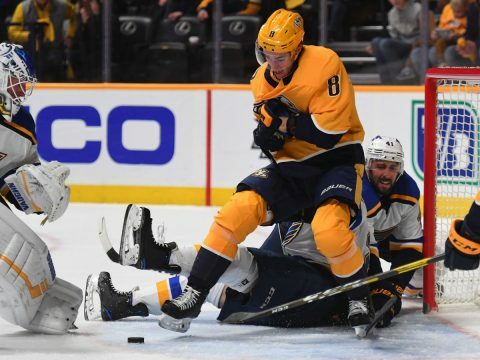 Both teams had multiple scoring opportunities on the night, but the puck was a “quirky” thing tonight as players were “whiffing” on shots, and or missing empty net opportunities all night. 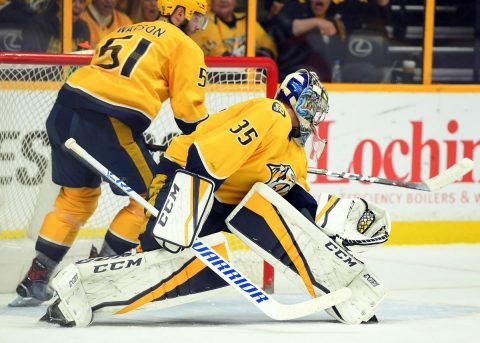 Nashville, TN – The Nashville Predators defeated the Dallas Stars 2-0 at Bridgestone Arena tonight, setting a franchise record for consecutive wins at 9 in a row. 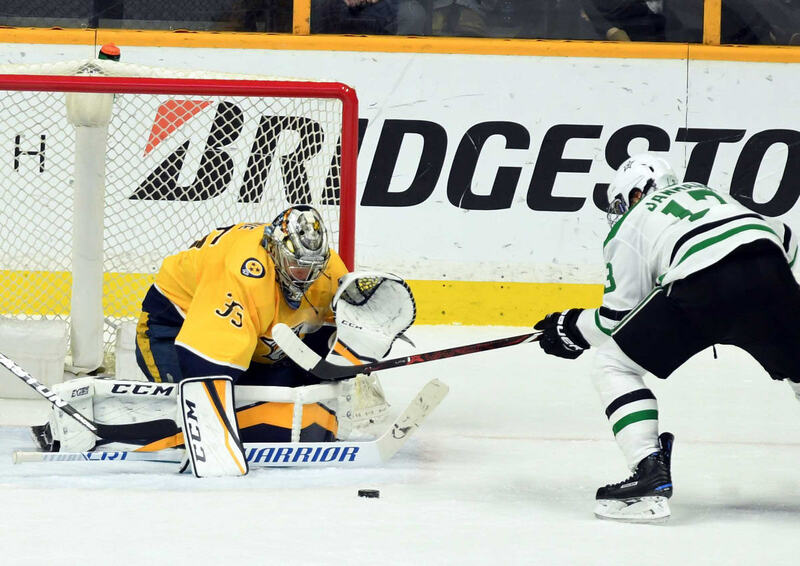 Ryan Hartman scored the game winner after two lackluster periods at 5:33 of the third period when his backhanded shot went “top shelf” over Dallas goalie, Kari Lehtonen, for the 1-0 lead. That was all the Predators would need on this night against the Stars, but for good measure, Nick Bonino scored an empty netter with 14 seconds remaining in regulation for the 2-0 final.